By proceeding further and clicking on the "AGREE" button herein below, I acknowledge that I of my own accord wish to know more about Dhaval Vussonji & Associates for my own information and use. I further acknowledge that there has been no solicitation, invitation or inducement of any sort whatsoever from Dhaval Vussonji & Associates or any of its members to create an Attorney-Client relationship through this knowledgesite. I further acknowledge having read and understood the Disclaimer below. This knowledgesite (www.dvassociates.co.in) is a resource for informational purposes only and is intended, but not promised or guaranteed, to be correct, complete, and up-to-date. 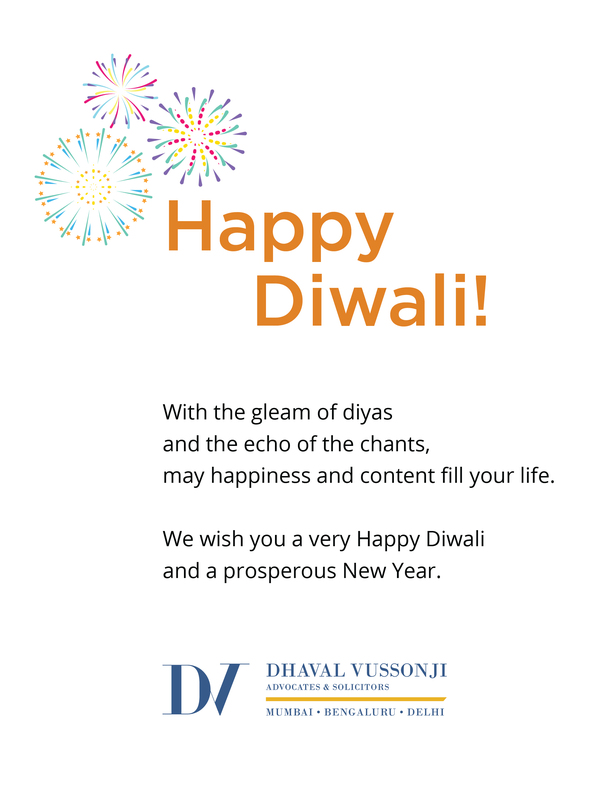 Dhaval Vussonji & Associates (DVA) does not warrant that the information contained on this knowledgesite is accurate or complete, and hereby disclaims any and all liability to any person for any loss or damage caused by errors or omissions, whether such errors or omissions result from negligence, accident or any other cause. DVA further assumes no liability for the interpretation and/or use of the information contained on this knowledgesite, nor does it offer a warranty of any kind, either expressed or implied. The owner of this knowledgesite does not intend links from this site to other internet knowledgesites to be referrals to, endorsements of, or affiliations with the linked entities. DVA is not responsible for, and makes no representations or warranties about, the contents of Web sites to which links may be provided from this Web site.